October Research’s webinars provide content on the most relevant topics pertaining to the real estate, title, financial and settlement services industries. Join industry insiders and experts as they provide information to help your business improve profitability and overall operations. What can you expect from an October Research webinar? Richard Bramhall, Chief Underwriter Counsel at Westcor Land Title Insurance Co.
Gorkem Kuterdem, Chief Technology Officer at WFG National Title Insurance Co.
Webinar Sponsorships are available – Request a Media Kit to learn more. 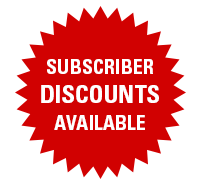 Subscribe to one of our industry leading publications and receive an exclusive discount on upcoming webinars and webinar recordings. Discount information for upcoming webinars is sent to subscribers via email. For information on webinar recording discounts please call 330-659-6101 x 806.